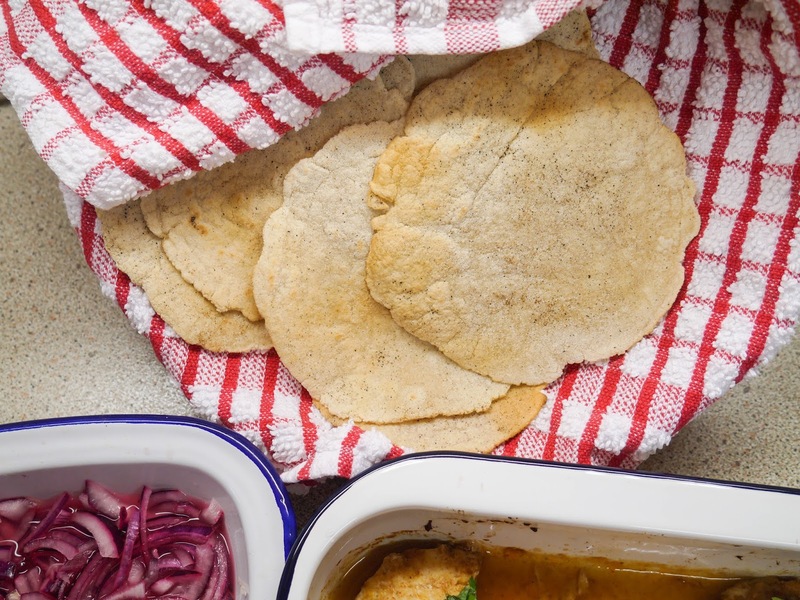 This Muslim Girl Bakes: Cookbook of the Month July 2017: Simply Nigella. 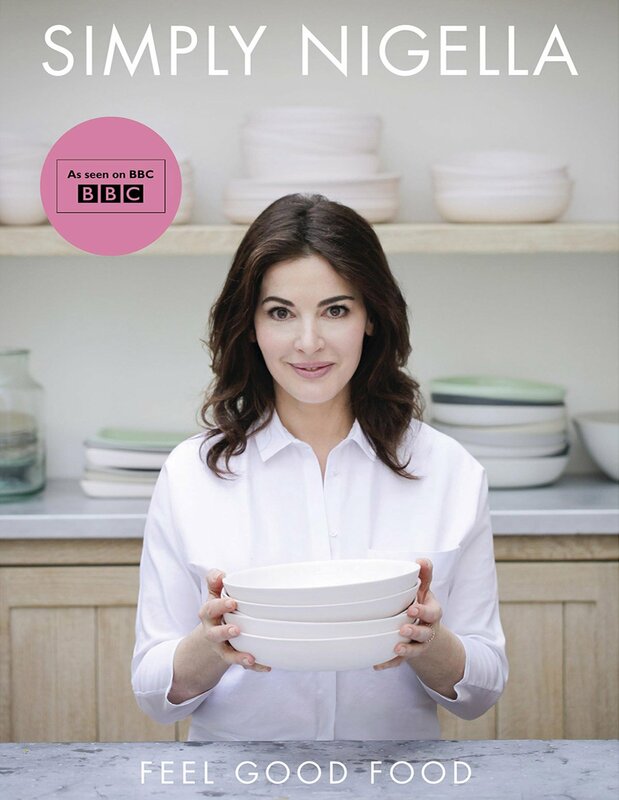 Cookbook of the Month July 2017: Simply Nigella. Hope you're all having a wonderful Summer break! Mine has been really chilled and full of rest which is just what was needed. 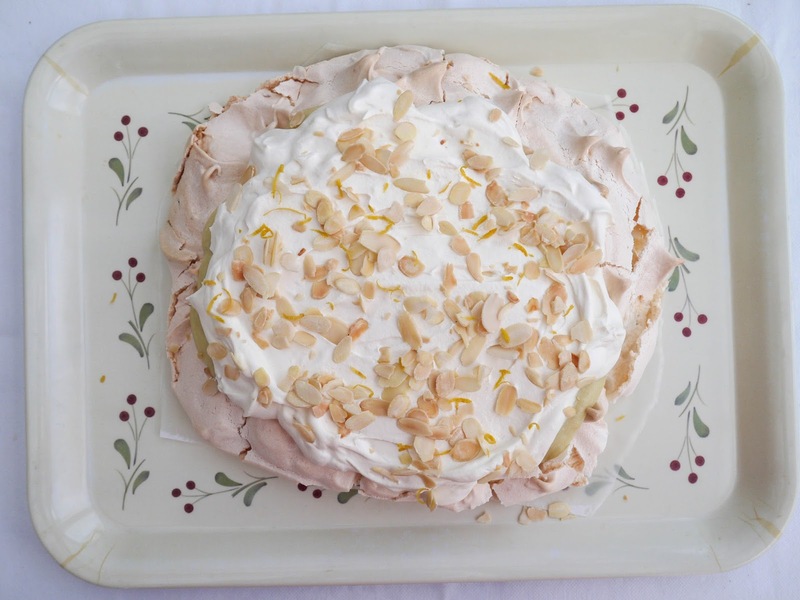 Throughout July, I've been cooking my way through Nigella Lawson's Simply Nigella. Quick and Calm - Strapatsada: This Greek egg dish immediately jumped out at me as I was flicking through the book when I first bought it. 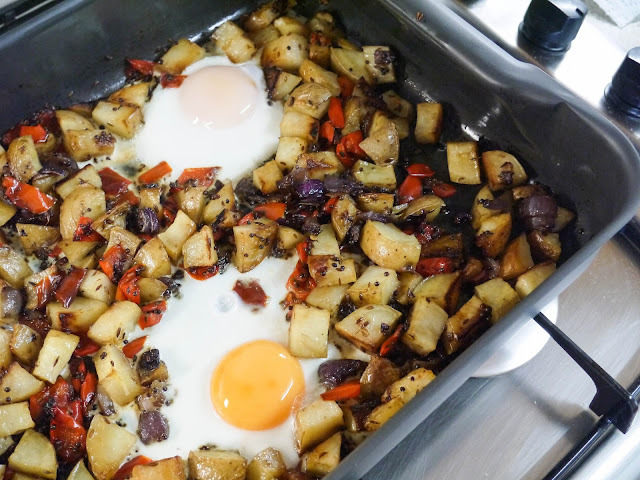 I love eggs and am always on the lookout for a different way to cook them. 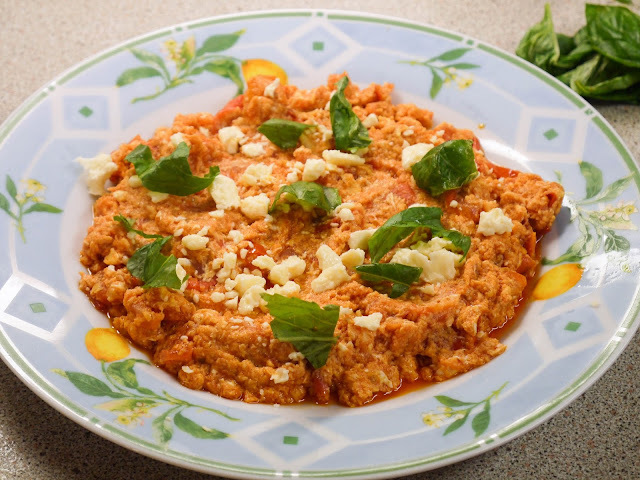 The recipe was perfect for Summer since our kitchen table always has a huge pile of tomatoes on it. We just can't resist them at the supermarket. 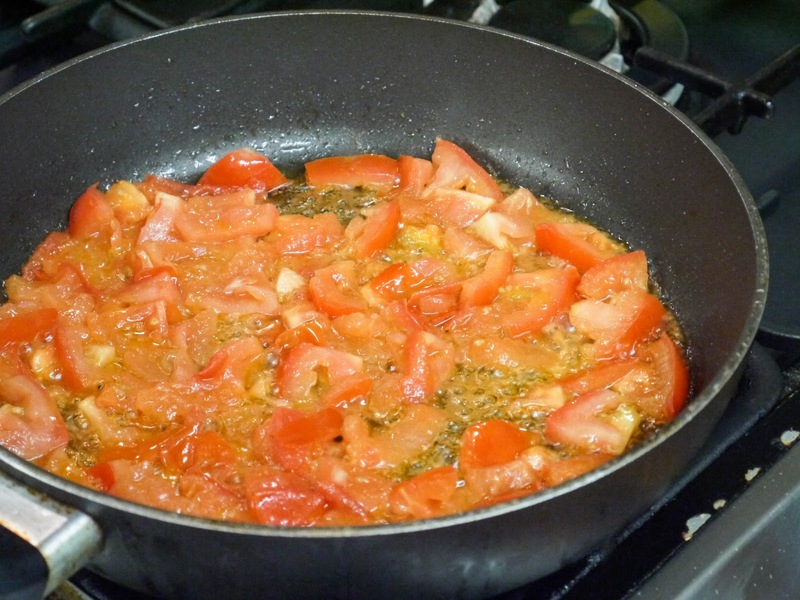 Fresh tomatoes are cut into chunks before simply being cooked with olive oil until a deep red almost orange colour. Tomato puree is added for extra depth and then in go the eggs. 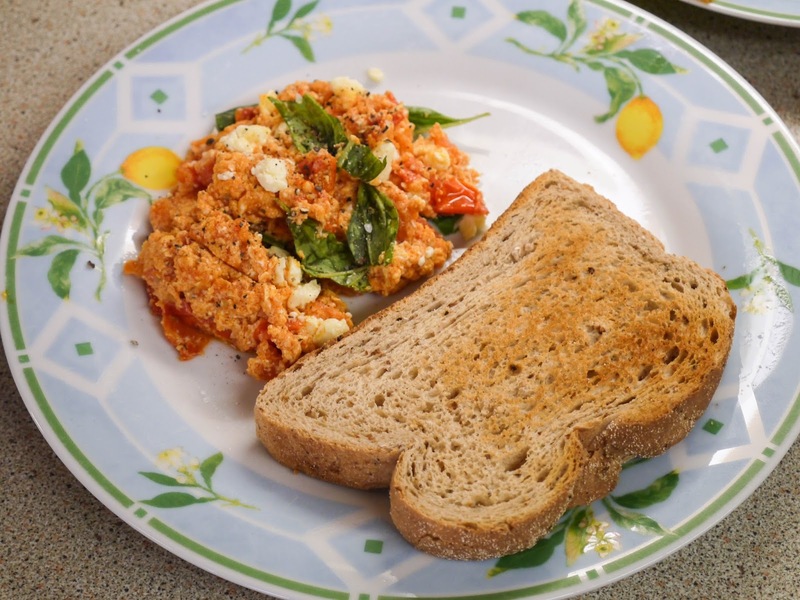 Once they were scrambled up, I finished them with Wensleydale crumbles and fresh basil. On the side, a slice of toasted bloomer. Perfect. 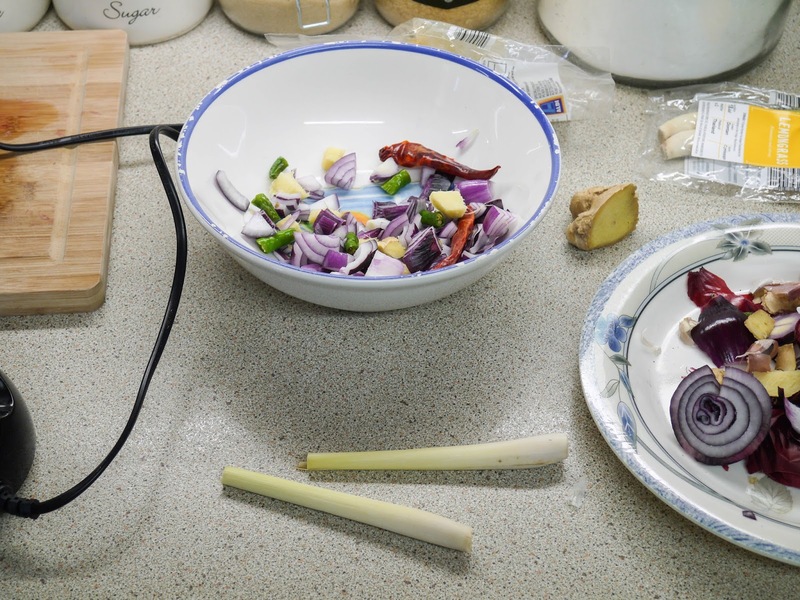 Bowl Food - Black Rice Noodles with Ginger and Chilli: I am a big fan of bowl food. Basically, anything that can be eaten from a bowl. There's something so comforting and homely about it. 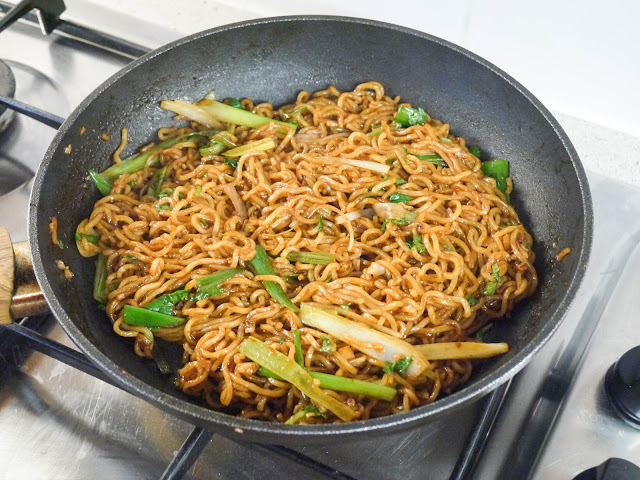 These noodles were my choice from this chapter and they were excellent. I didn't have black rice noodles as the recipe suggested so made do with ramen. The noodles were the perfect meal after a busy day - spicy with ginger and chilli sauce but very satisfying. 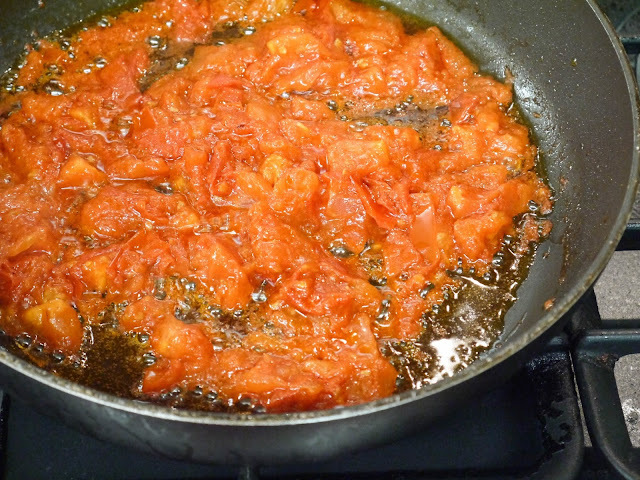 Dine - A Simple Salsa: I love a good salsa. This one made use of tinned tomatoes meaning I could make it at anytime. 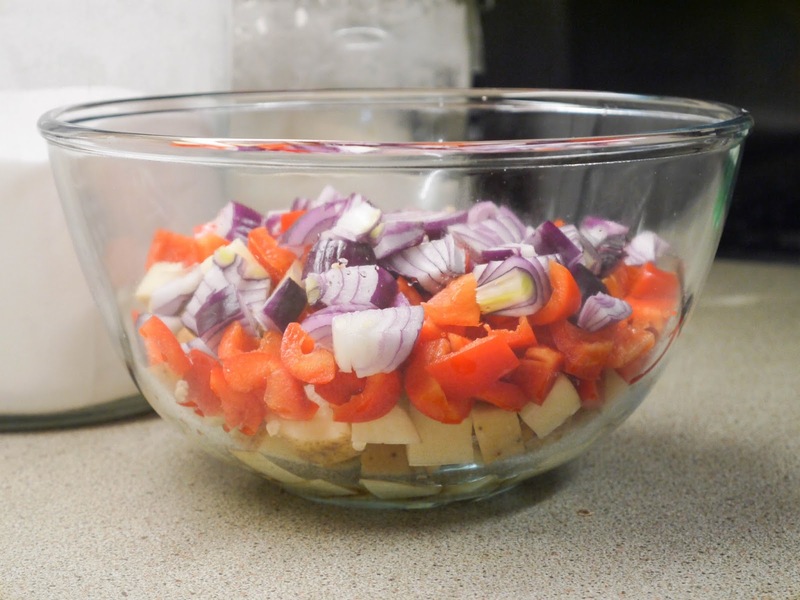 The base is a mixture of onion, garlic, cumin seeds and fresh jalapeno. Once they're cooked and fragrant, we crack open the tomatoes. The salsa bubbles away until rich. I like to let mine cool before serving it with tortilla chips or in chicken fajitas. 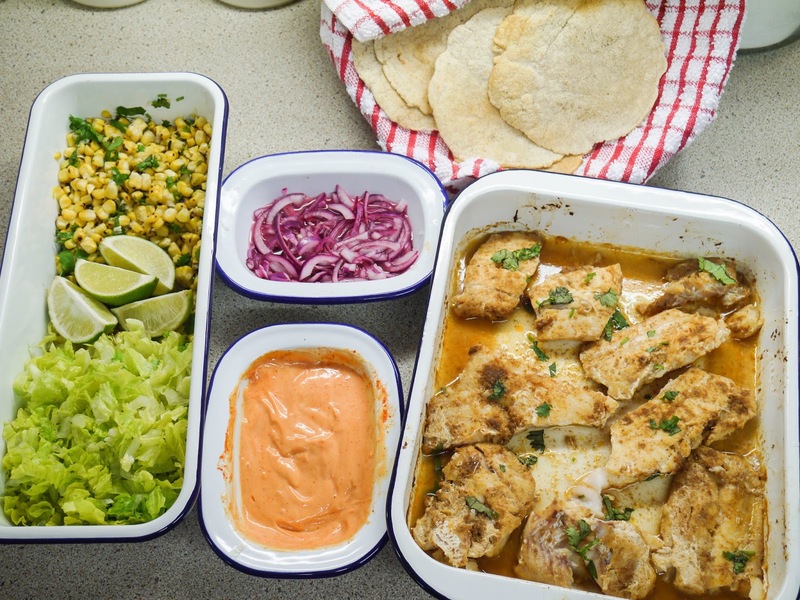 The full recipe for both the fajitas and salsa is here! Dine - Fish Tacos: This is my kind of meal. Lots of little dishes, filled with things that pack a punch and where they can all be laid out onto the table, ready for people to just dig in. The main event with these fish tacos was of course, the fish. 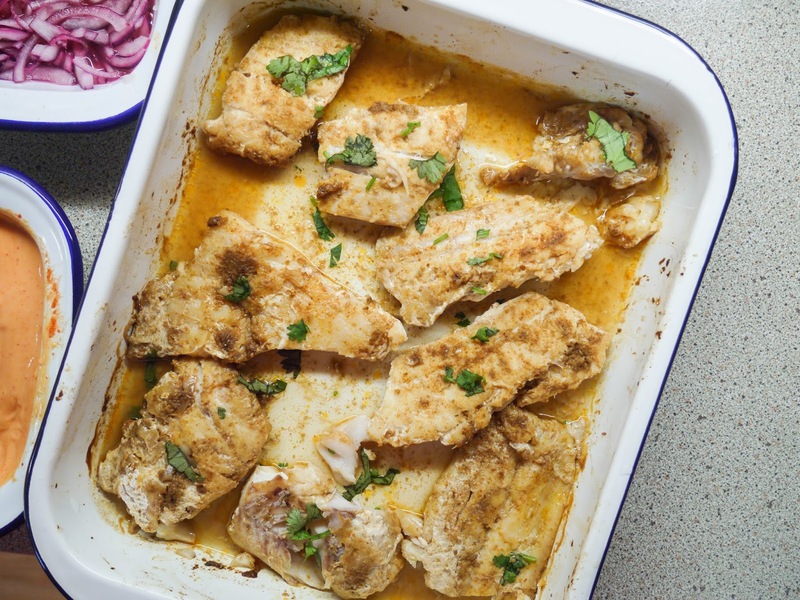 I used a mixture of haddock and cod which I had marinaded in cumin, paprika and garlic before baking in the oven until tender. These simple spices ensured that the fish flavour could still be tasted which was lovely. Now, tacos aren't tacos without the sides. 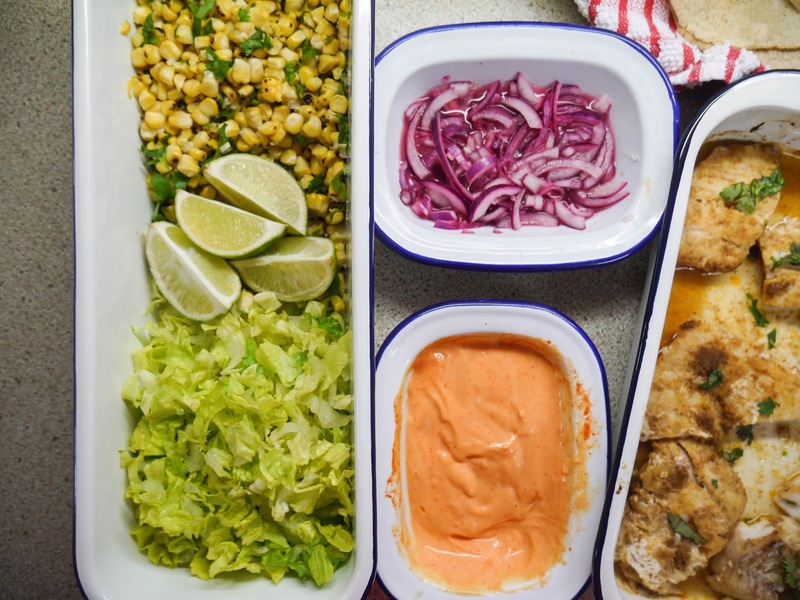 These fish tacos came with shredded lettuce, lime wedges, sweetcorn relish, pickled red onions and a chilli garlic mayo. 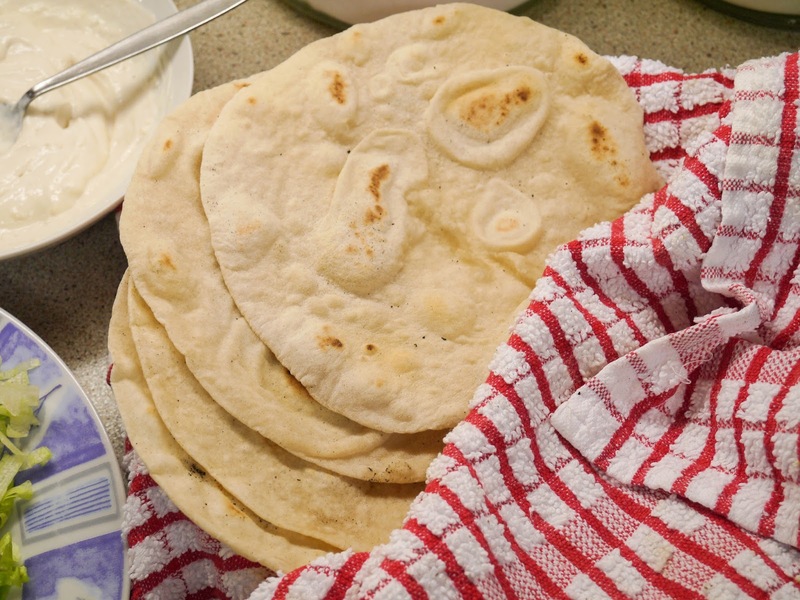 Everything was wrapped up in homemade, soft corn tortillas. I made them on the smaller side which I must say, I definitely prefer over the giant flour ones you get in the supermarket. 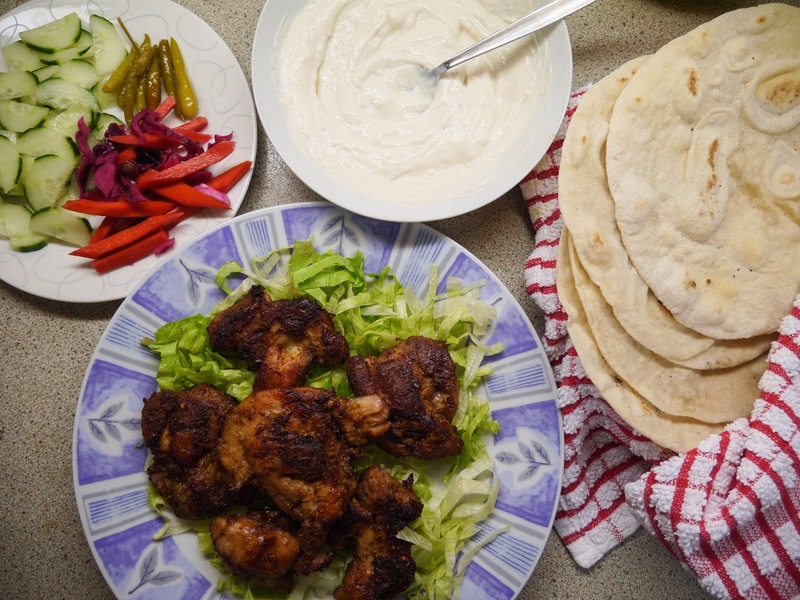 Dine - Oven-Cooked Chicken Shawarma: Another meal that I couldn't resist making from the Dine chapter was this chicken shawarma. This is once again, my kind of food. The star was of course, the chicken. 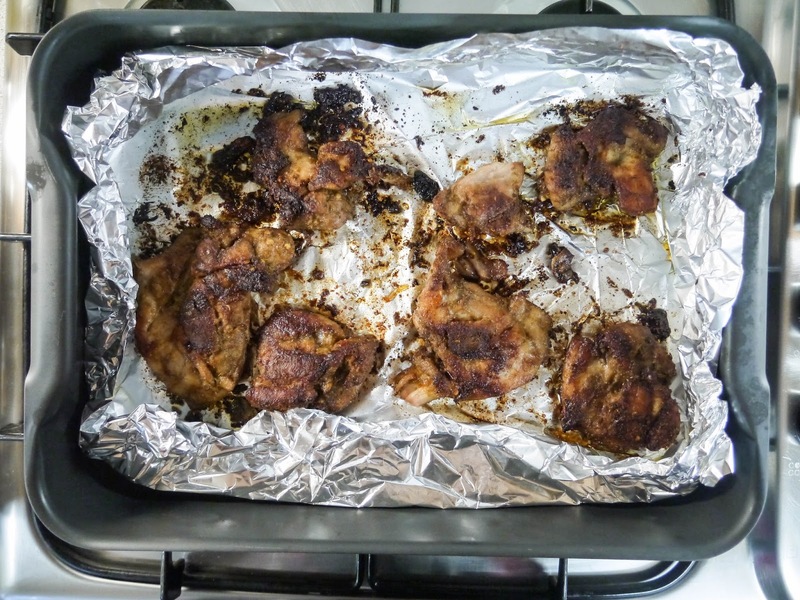 I used chicken thighs which I marinaded overnight in the fridge in an olive oil, lemon and spice marinade. The next day, I roasted them in a very hot oven until they were cooked and crispy. 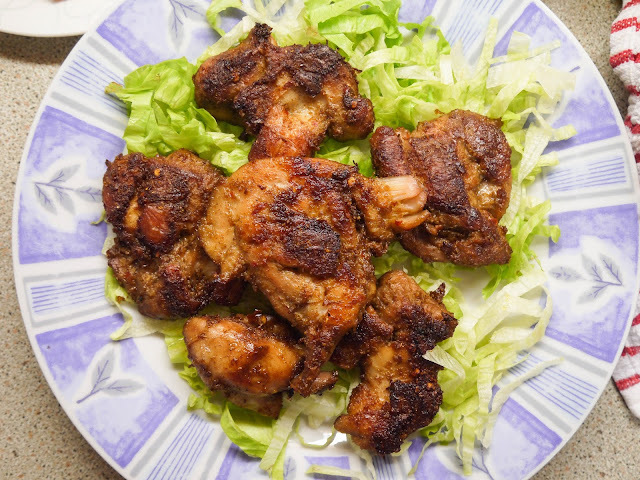 They went onto a cooling bed of shredded lettuce, ready to be sliced up at the table. 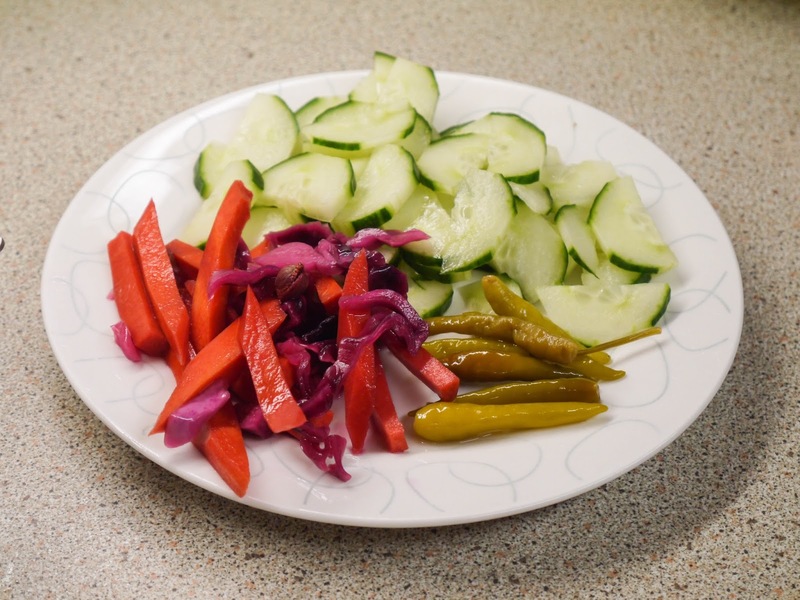 On the side, cucumber slices, pickled chillies and a quick carrot cabbage pickle. More on the pickle later! The sauce was really simple yoghurt one with tahini and garlic. 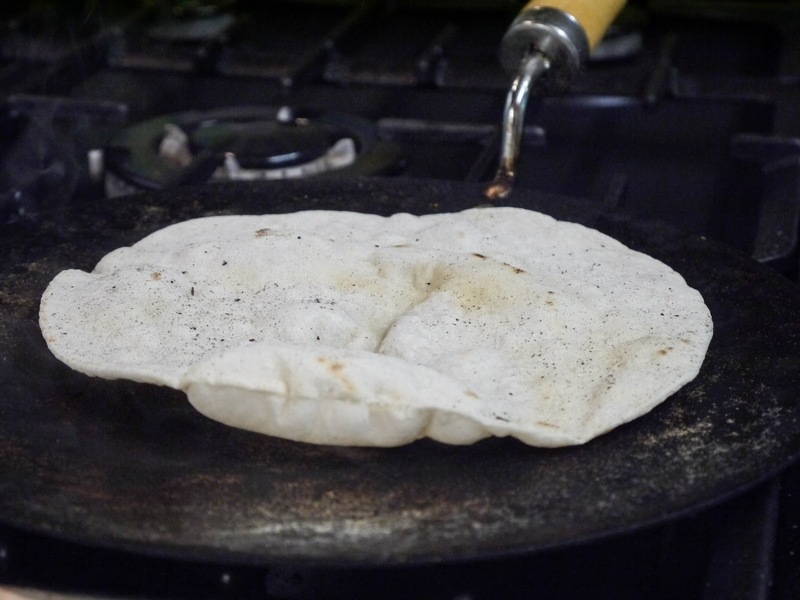 To wrap the shawarma in, I made Lebanese mountain bread. These were so chewy and soft. They reminded me of ones that I've had in the Middle East in the past. 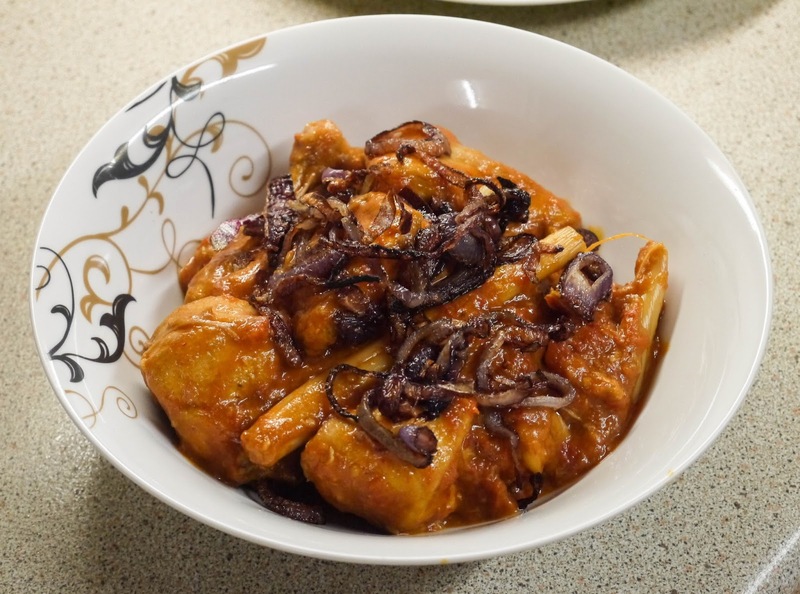 Breathe - Malaysian Red-Cooked Chicken: So, this dish was my favourite one from everything I cooked. It was so delicious! 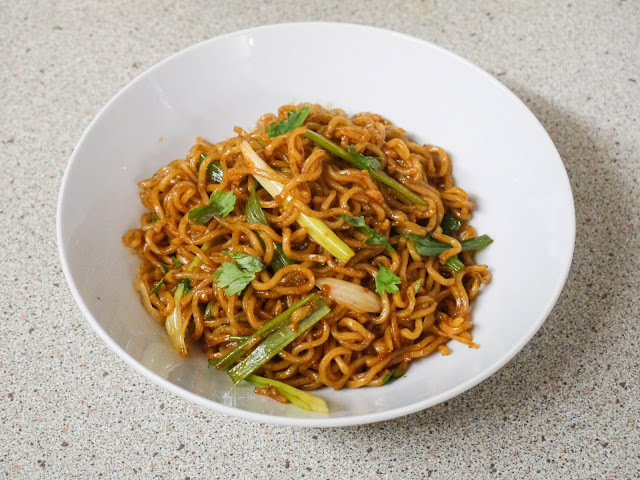 Really spicy (because I left the chilli seeds in!) 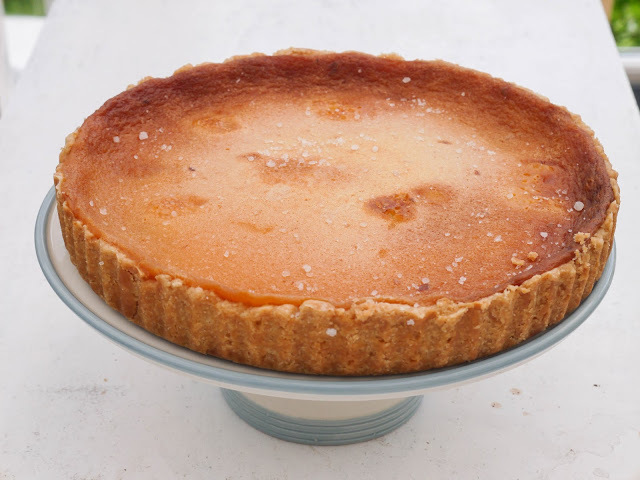 but really fragrant and easy to make too. The recipe used lemongrass which I had never used before so it was a good opportunity to finally try it. 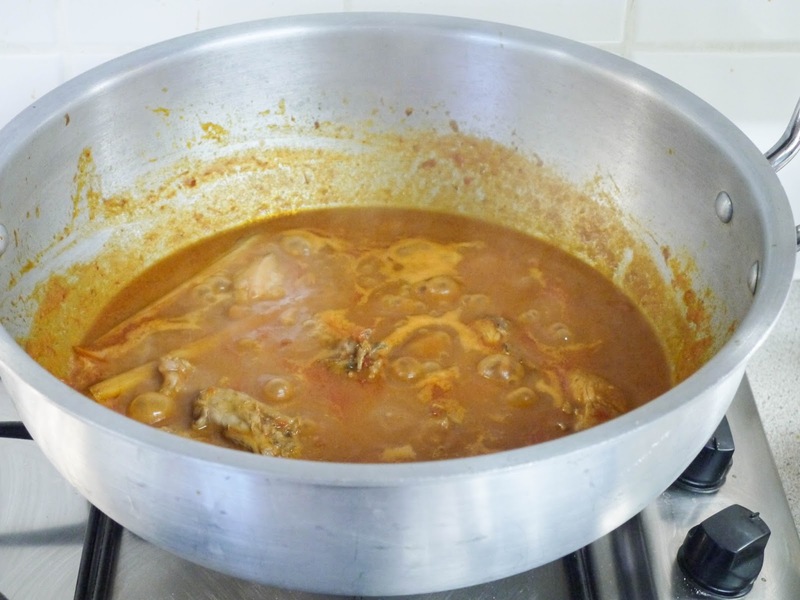 The chicken started off with a paste that was cooked off until fragrant. 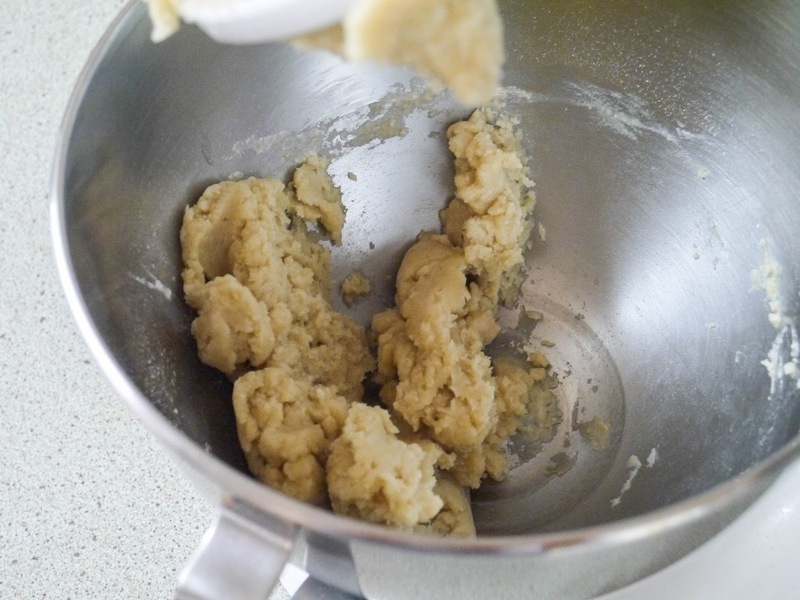 No fine chopping required, everything was instead blended until smooth before being fried off. 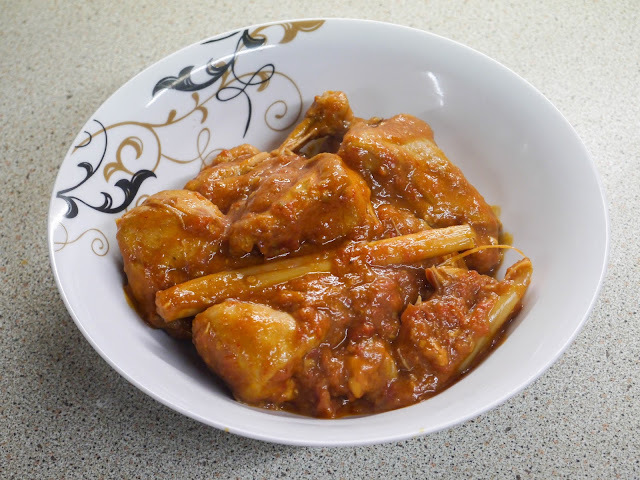 I had run out of the chicken thighs that the recipe used so instead went with cut chicken pieces on the bone. The recipe said that the dish had to be cooked, cooled overnight and then re-fried the next day. 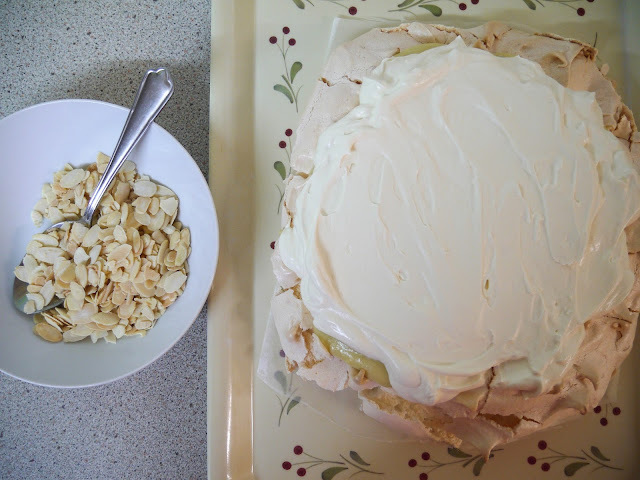 I didn't do that because it smelt too good to wait an entire day to eat it so we just ate it straight away. Maybe next time, when I have chicken thighs in, I will try it that way. 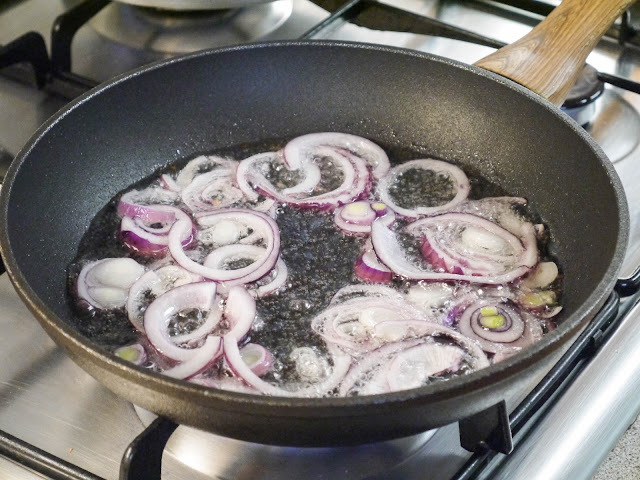 Whilst the chicken cooked, I fried off thinly sliced red onions until crispy to garnish the top. 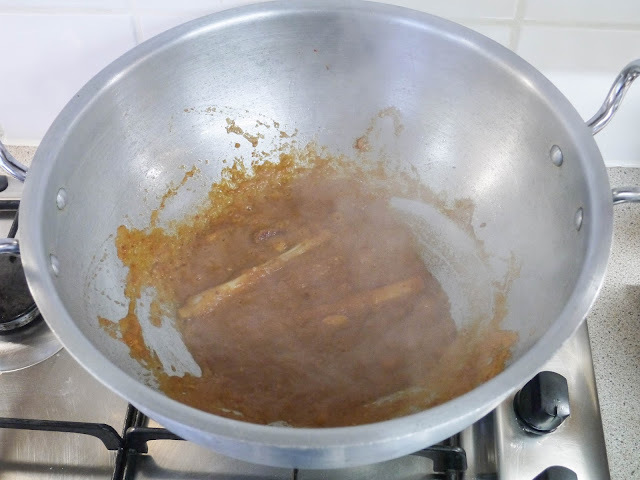 Even though I strayed from the recipe a little, this dish was my favourite. 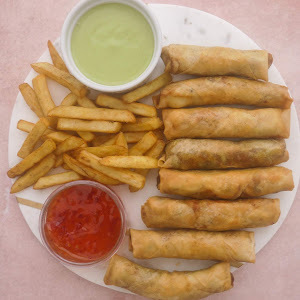 We ate it with steamed rice and it was heaven. Sides - Criss-Cross Potatoes: A simple side dish that I've actually done a full recipe blogpost on in the past, these criss-cross potatoes are a real favourite in our house. 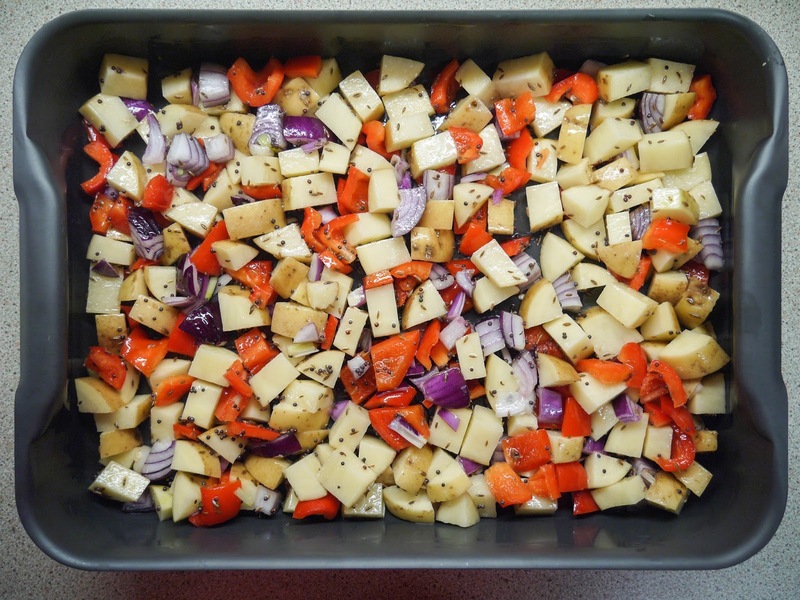 All you need is potatoes, olive oil, salt and some nifty knife skills. After 45 minutes in a hot oven, you're left with a cross (criss-cross?) between a roast and baked potato. Now, who wouldn't want that?! 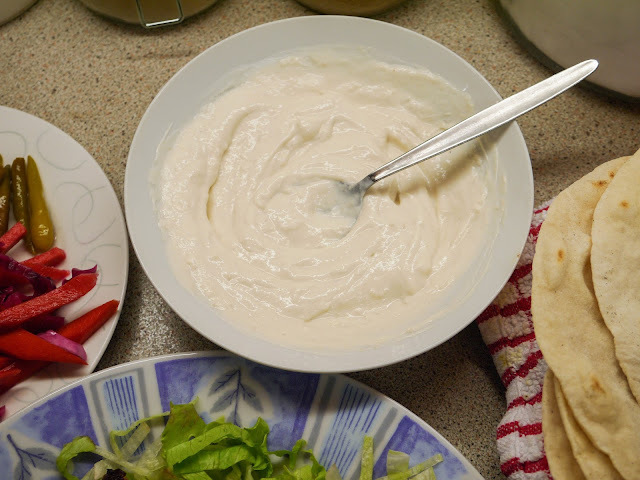 Sides - Caramelized Garlic Yoghurt Sauce: I made this yesterday when my cousins came over. They insisted that they only wanted tea and had already eaten lunch but no one could resist homemade chips, lamb seekh kebabs, this garlic yoghurt sauce and glasses of creamy mango milkshake when they were offered round. 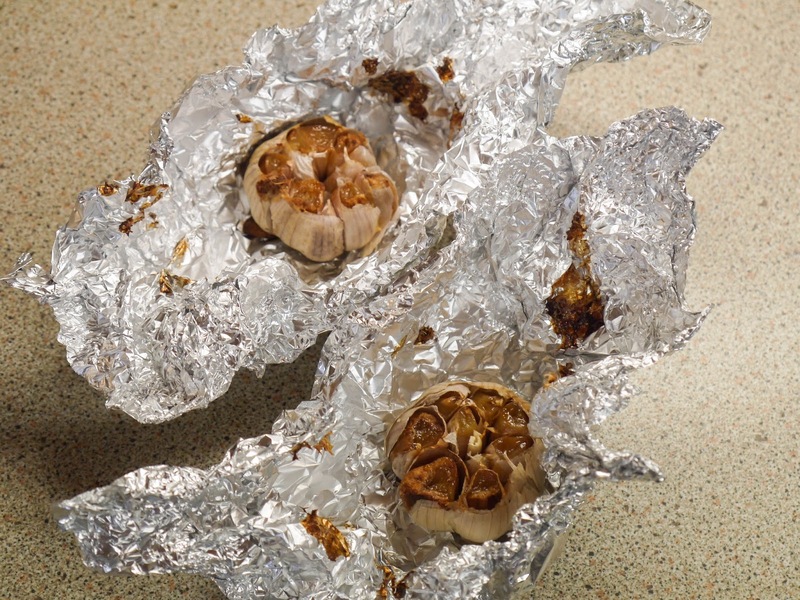 The garlic had been roasted whole in its skin by a hot oven until caramelized and golden. The cloves were satisfyingly squeezed out into a bowl. 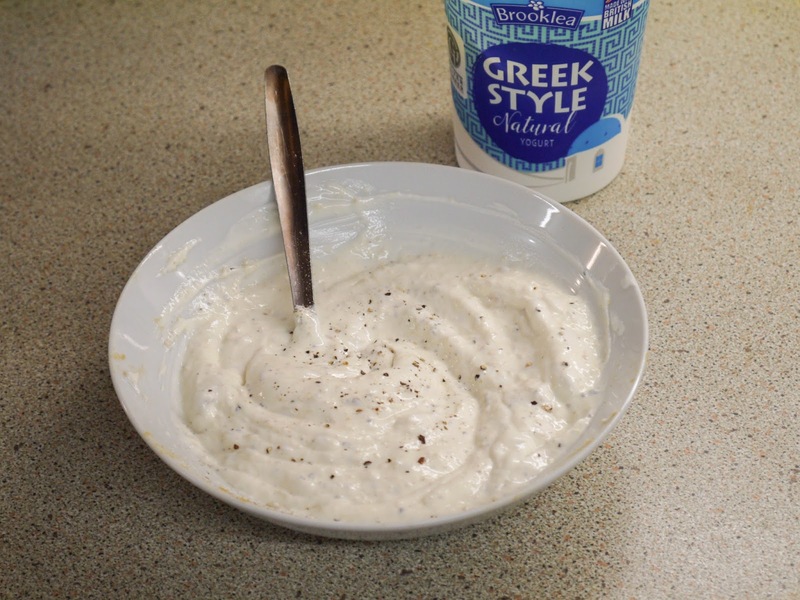 I added less Greek yoghurt than the recipe asked for, as we like a real punch of garlic. 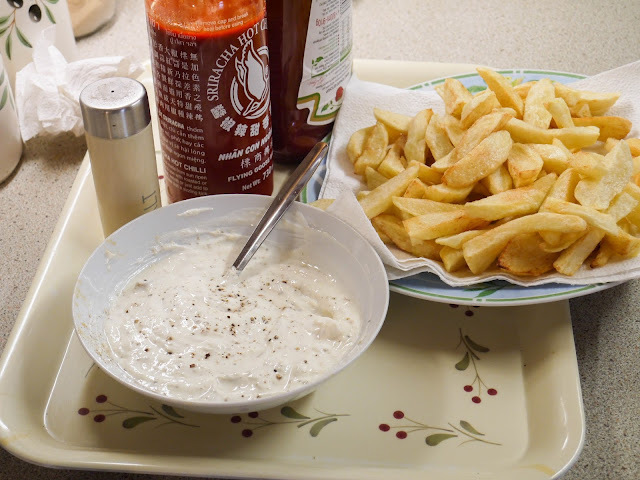 Since the garlic had been roasted, it wasn't as strong as it would have been raw which was perfect especially with hot, homemade proper chips. 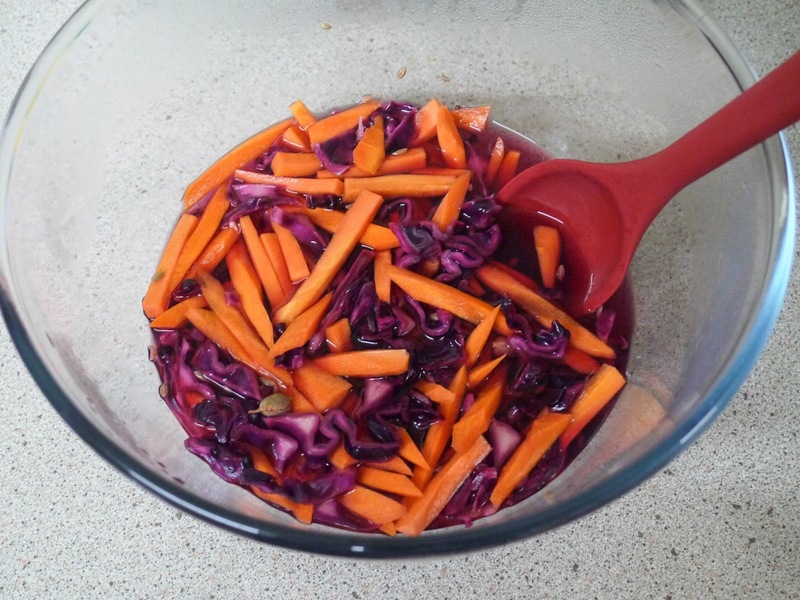 Sides - Quick-Pickled Carrots: I've recently realized that I love a good pickled vegetable. Having grown up surrounded with Pakistani spicy pickles, I've recently gotten into the less-spicy, more-vinegary kind. 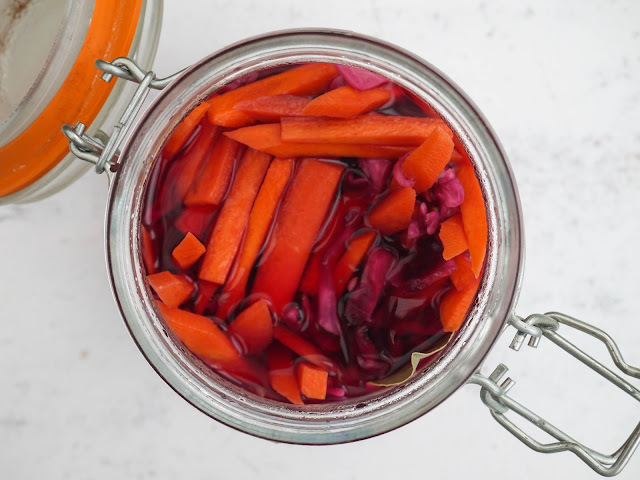 It all started with pickled chillies and jalapenos, and then when I came across this recipe for a quick carrot pickle, I couldn't resist. I had a little bit of sad purple cabbage hanging out in the fridge so threw that in as well. 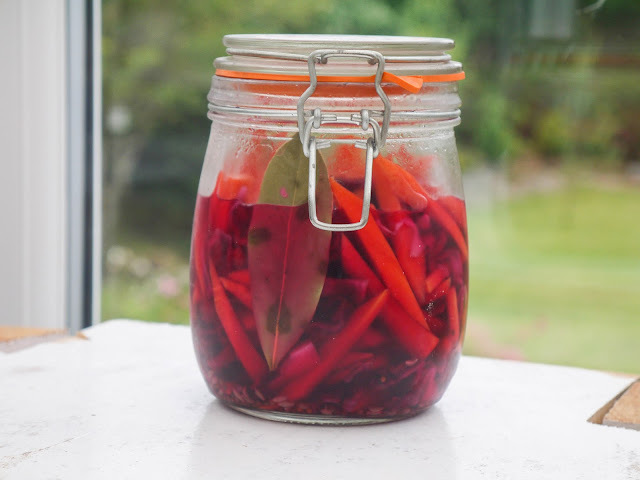 The pickling liquid was a mixture of vinegar, water, honey and seeds among other things. They were cooked before being poured over the vegetables. Once cool and in their jar, the pickle was pretty much ready to munch. I love the sharpness of the vinegar and the crunch of the vegetables. 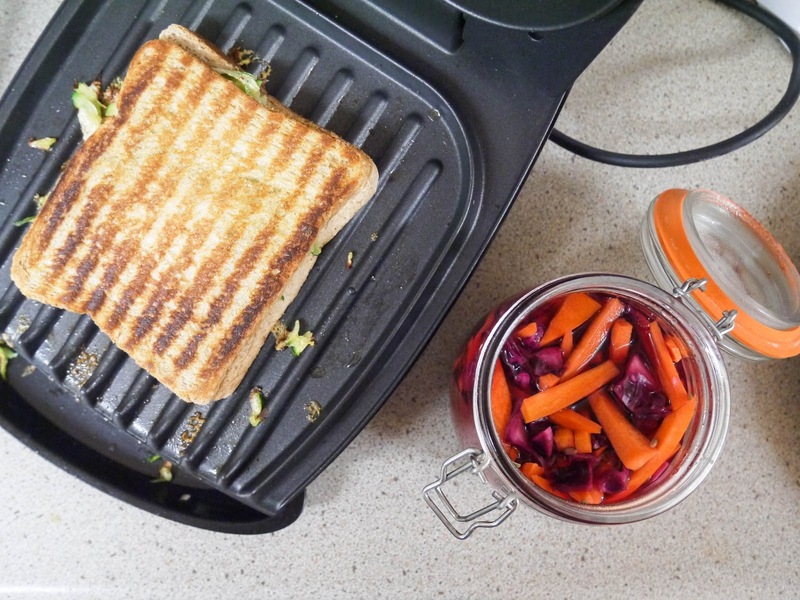 We ate it with a grilled courgette cheese sandwich. 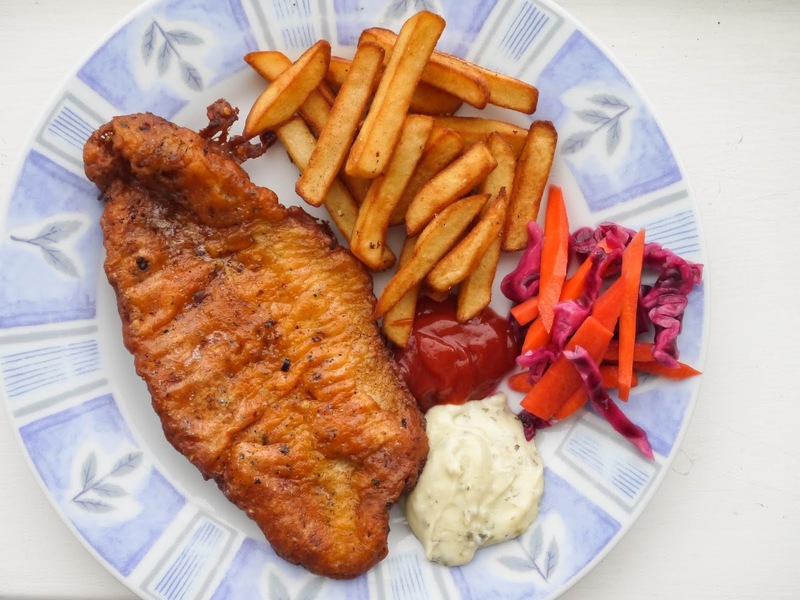 And, it also made a great side to spicy fried fish and chips. Sweet - Honey Pie: Just the thought that this pie is still in my fridge (I made it yesterday!) is making me very happy right now on this rainy Friday afternoon. 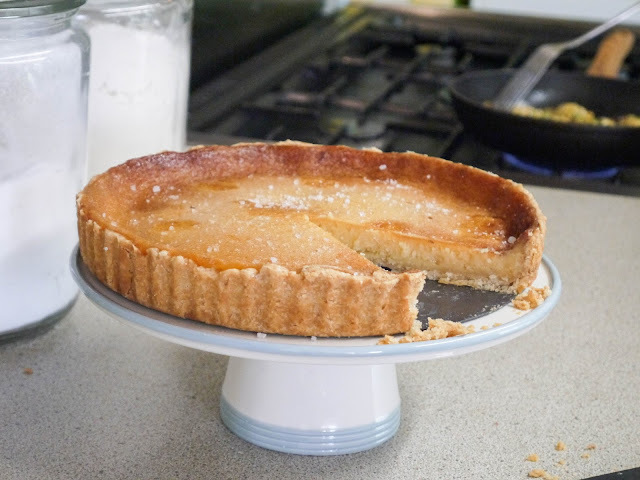 This honey pie was another recipe that jumped out at me when first flicking through the book - I love anything that's sweet but a little salty. I started with the pastry which was made with a different method to usual. 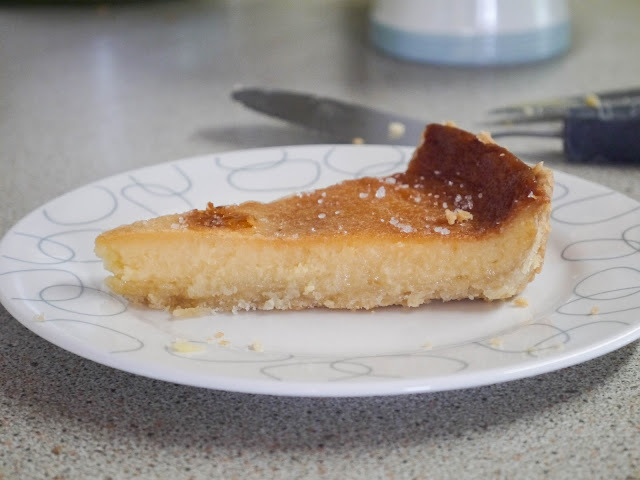 It was simply plain flour, olive oil, salt and milk just mixed together. 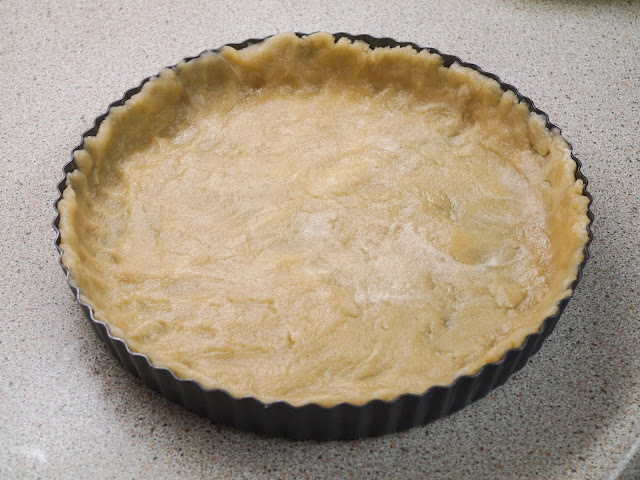 The mixture was quite damp and not at all like a normal shortcrust pastry. 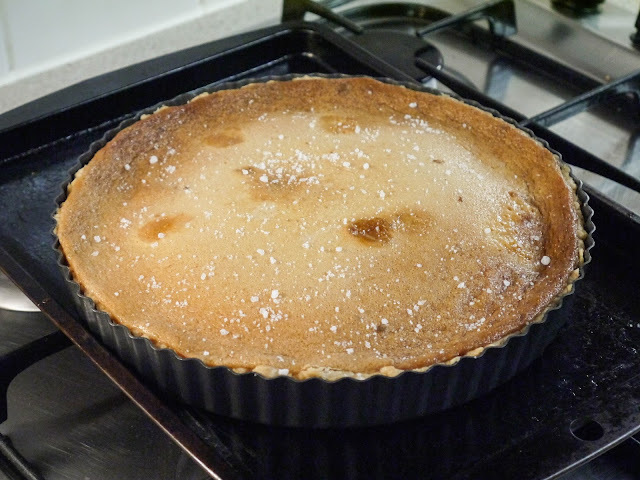 The dough was pressed into a large tart tin. This took some time and I was convinced I was doing it all wrong but it worked out wonderful in the end. The whole thing was then frozen until completely solid for around 1 hour. Meanwhile, I made the filling. The main ingredient was honey. 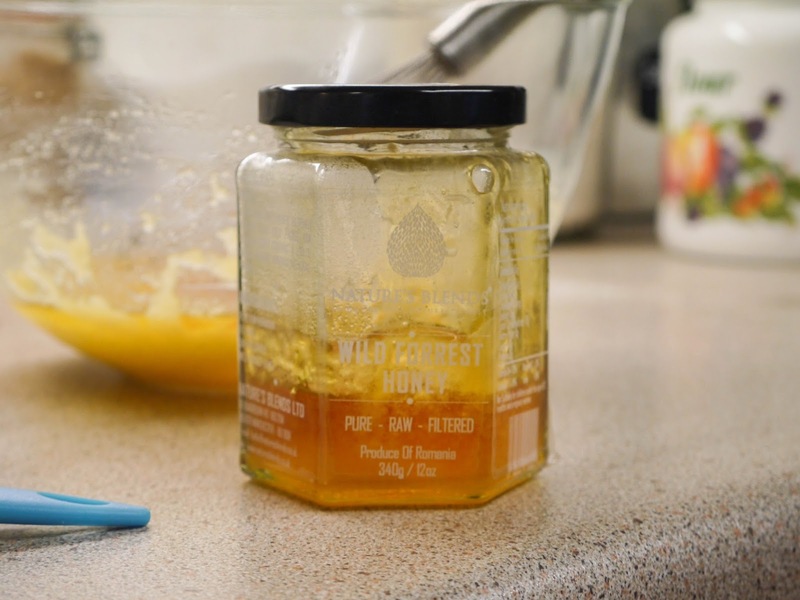 I used half a normal runny honey and half of this wild forest honey for extra flavour. 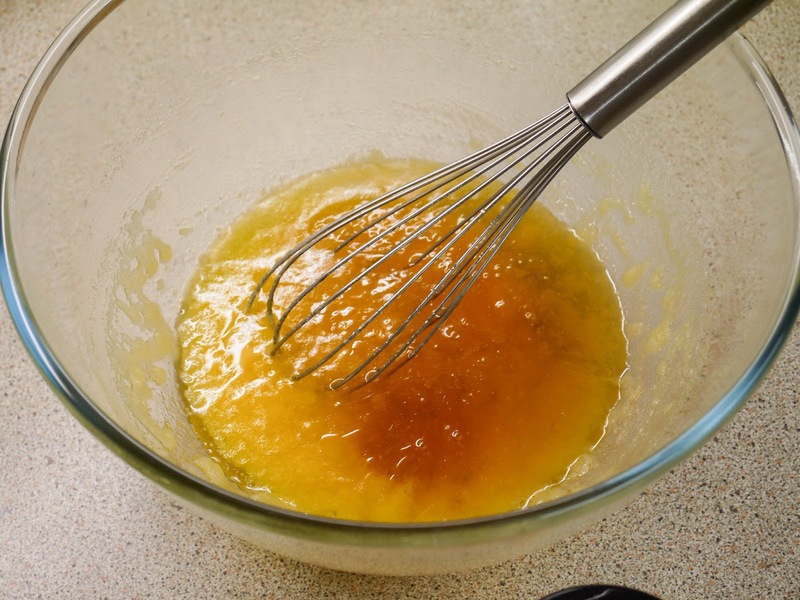 Things were whisked up. Time to fill up the case! The filling was very liquid but I was sure that the oven would set all of that up. And, I wasn't wrong! 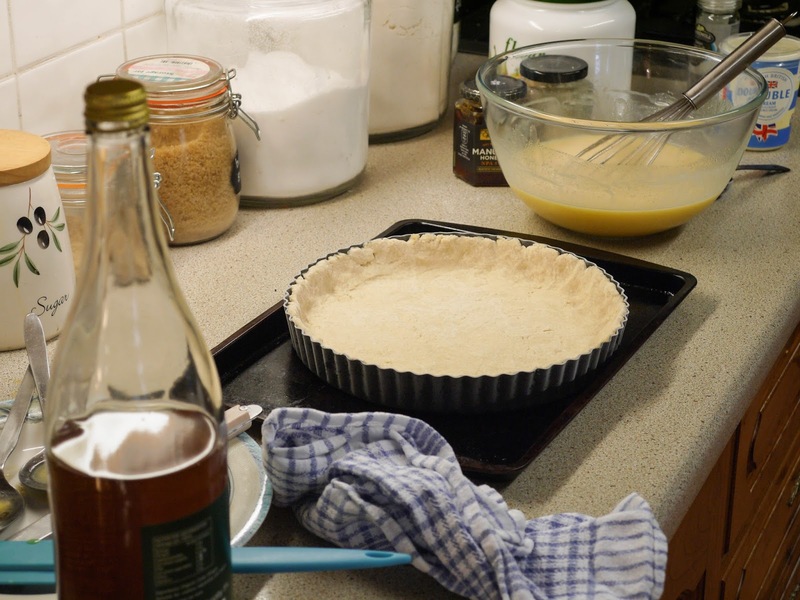 The pie baked up beautifully and was finished with a generous sprinkling of sea salt flakes. 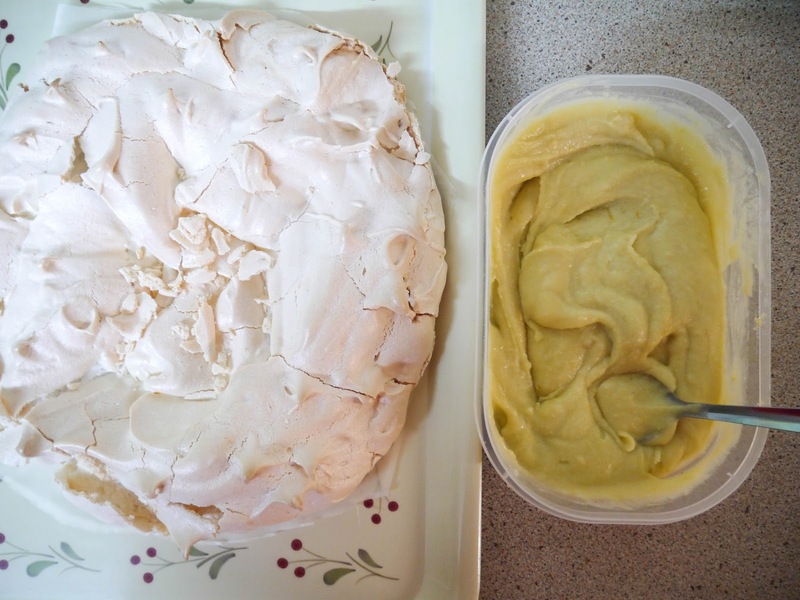 I let it cool completely in the fridge overnight and in the morning, it was perfection. 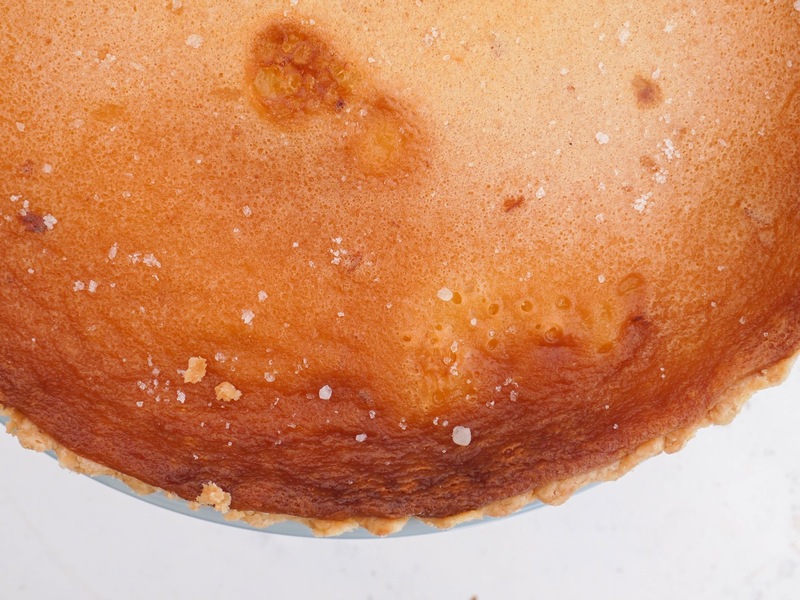 Look at that bronzed colour with all the sea salt on top! Let's slice! 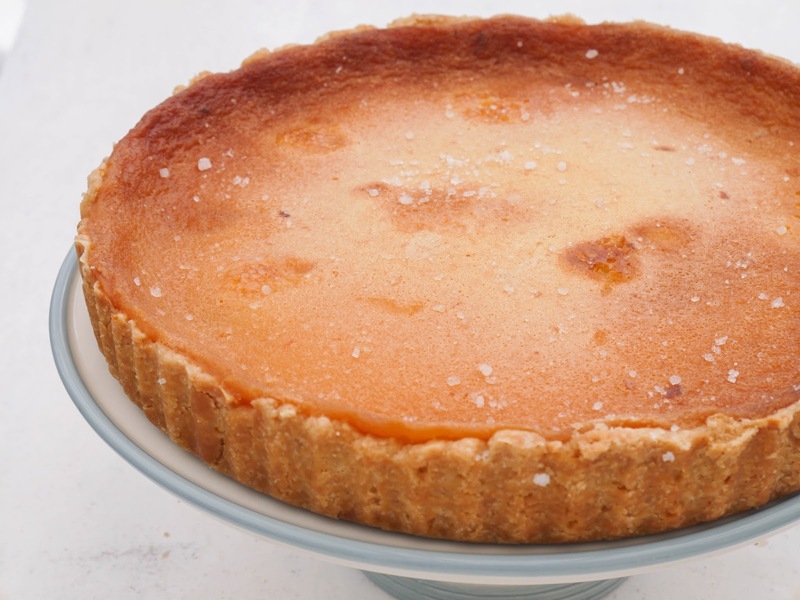 The honey pie was beautiful. The pastry was crisp with no soggy bottom in sight and the filling was buttery, smooth and with a lovely honey flavour. So good! 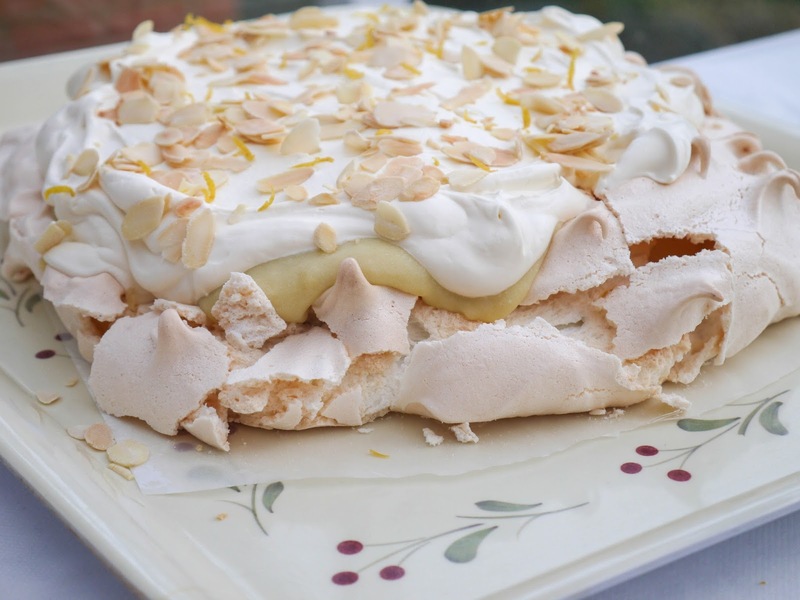 Sweet - Lemon Pavlova: Another recipe that brought two favourites together - lemon and meringue. 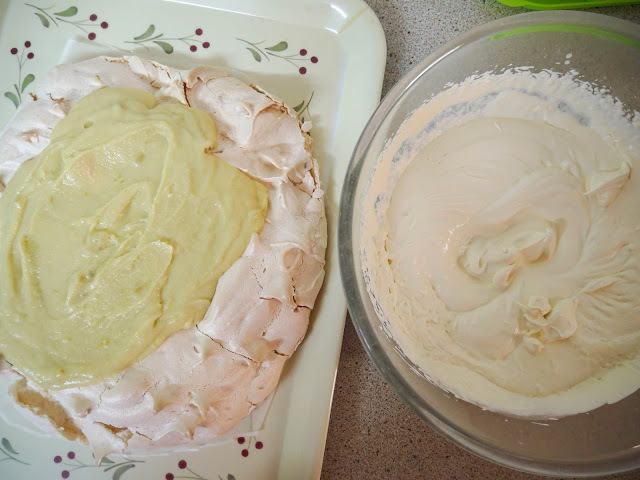 The meringue was whipped up until it reached stiff, glossy peaks. 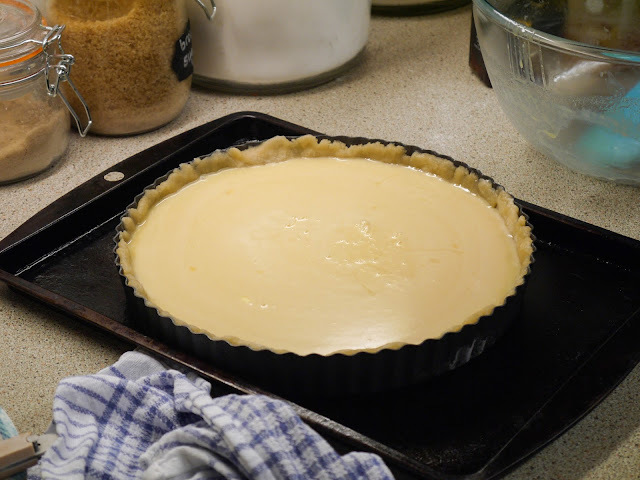 Once it had baked up, it was time to top it with a homemade lemon curd. And finally, for crunch, toasted flaked almonds. This pavlova was a real winner! The sweet meringue went so well with the tart lemon curd - a definite one to make again. 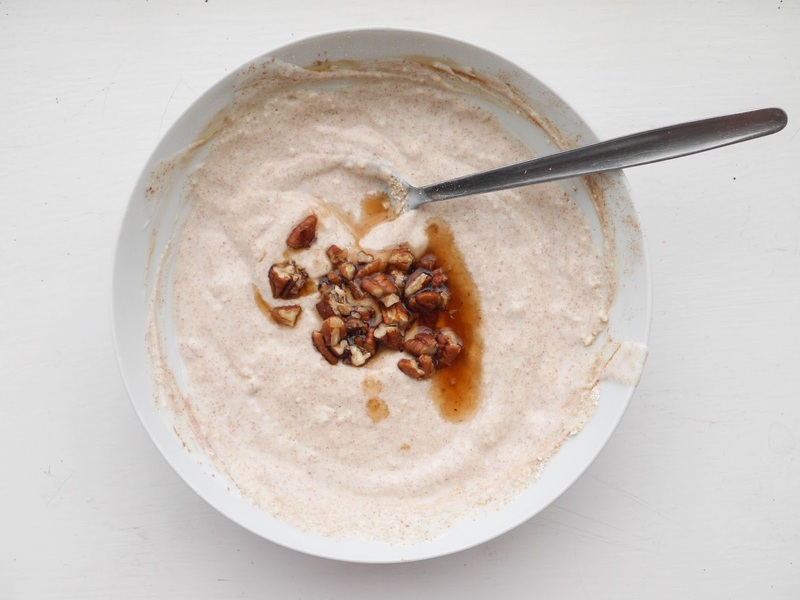 Beginnings - Maple Pecan No-Wait, No-Cook Oats: A breakfast dish that came together so easily was this maple pecan oat yoghurt bowl. The recipe used oat bran which I didn't have and after a little research, found that I could make at home by blending up rolled oats. 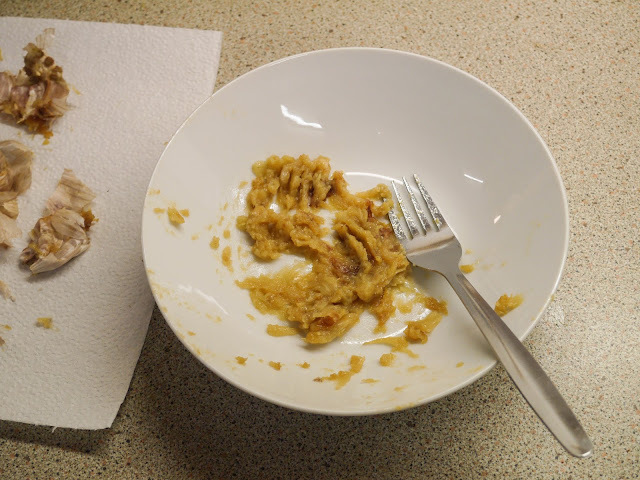 The oats were stirred in to plain yoghurt along with maple syrup and cinnamon. On top, crumbled pecans and a little more maple syrup. A really fresh way to start the day. 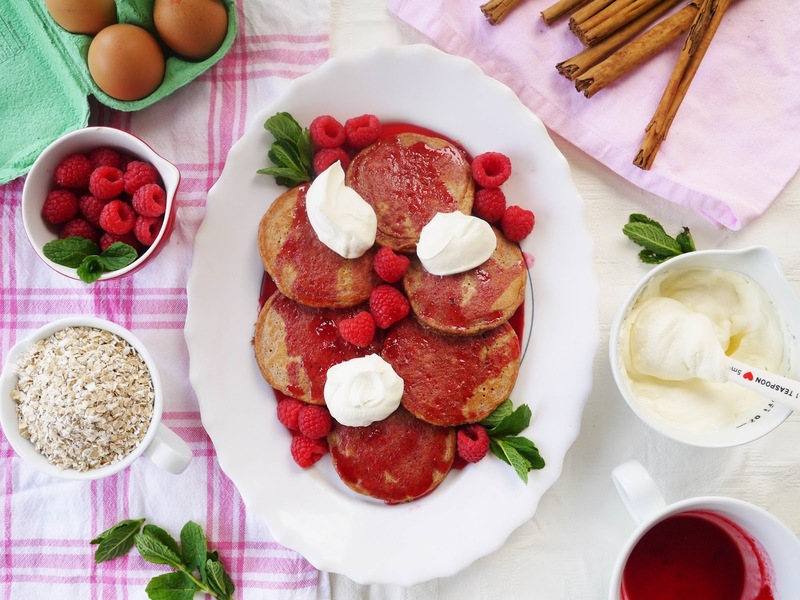 Beginnings - Oat Pancakes with Raspberries and Honey: Another breakfast recipe making use of oats, this time in the form of pancakes. 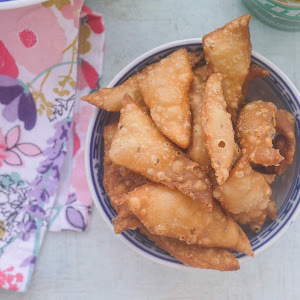 I loved these so much that I have a full recipe for them on the blog. The pancake batter is made with oats and flavoured up with cinnamon. They're a little denser than normal pancakes but I think that is part of their charm. To drizzle over them, I made a sauce with raspberries and honey. The two bubbled together before being sieved because I am not a fan of those pesky raspberry seeds. The sauce is drizzled over the hot cinnamon pancakes. 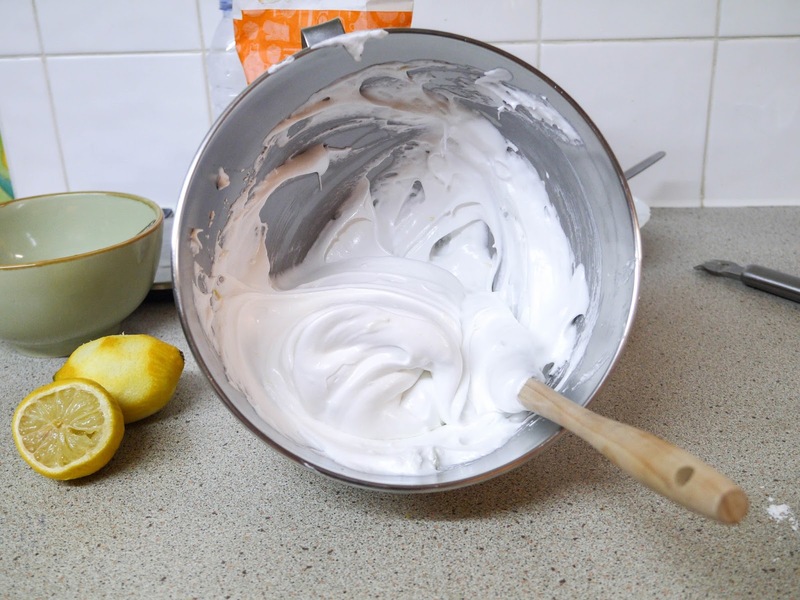 The pancakes would be great with a dollop of Greek yoghurt but I served them with a few scoops of vanilla whipped cream. 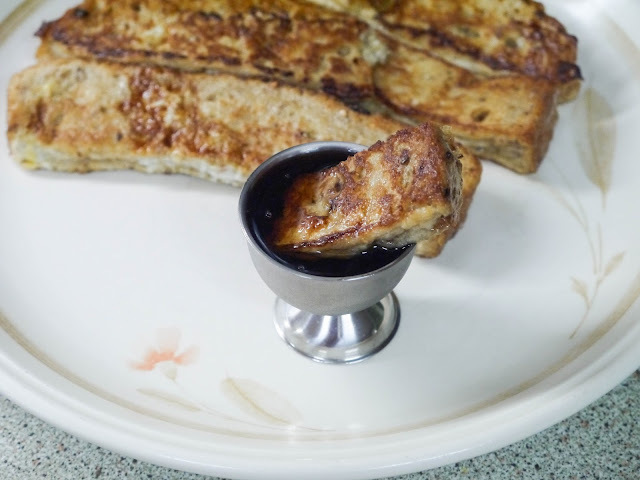 Beginnings - French Toast Soldiers with Maple Syrup: We all loved this quirky breakfast on a Saturday morning. 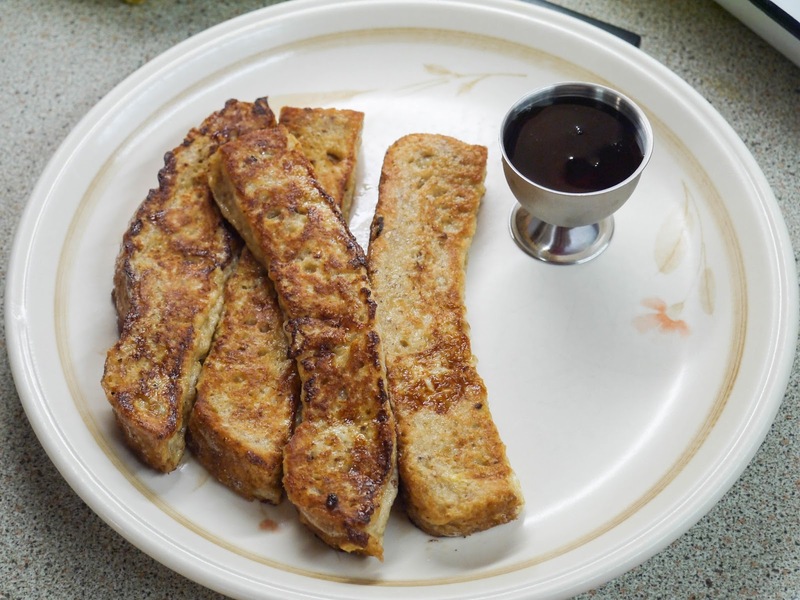 A little twist on the normal sweet French toast! 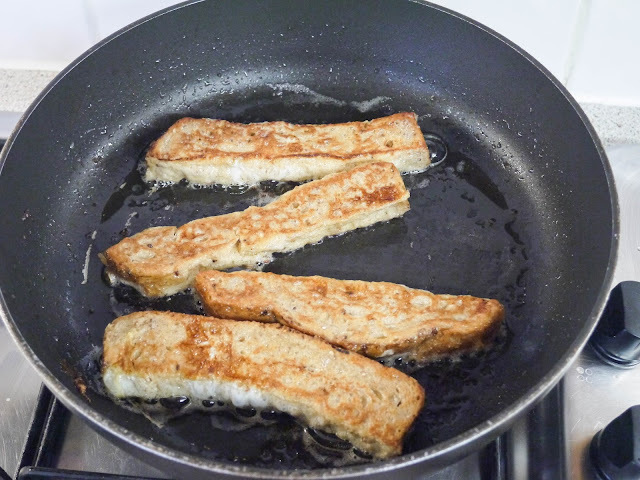 Simply cut your bread into soldiers before dipping in a vanilla, egg and milk mixture. The soldiers were fried until golden brown. 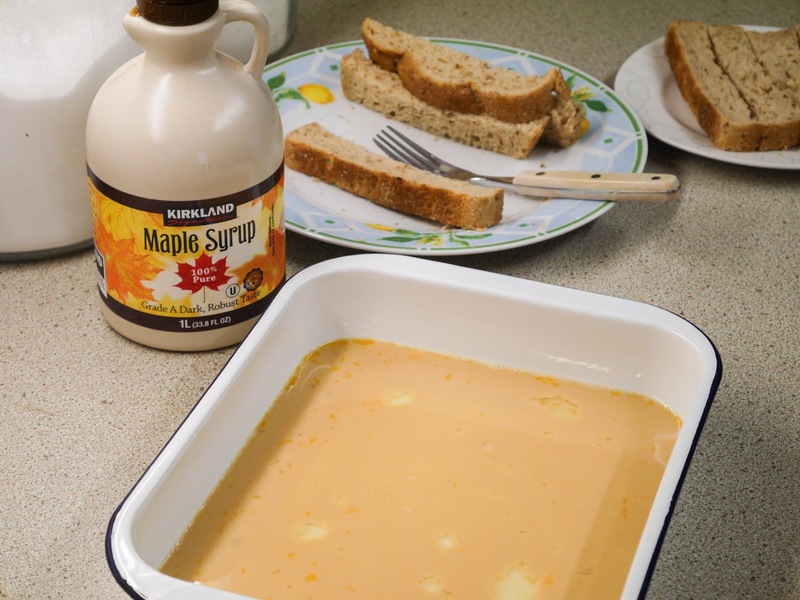 And, served with maple syrup to dunk! 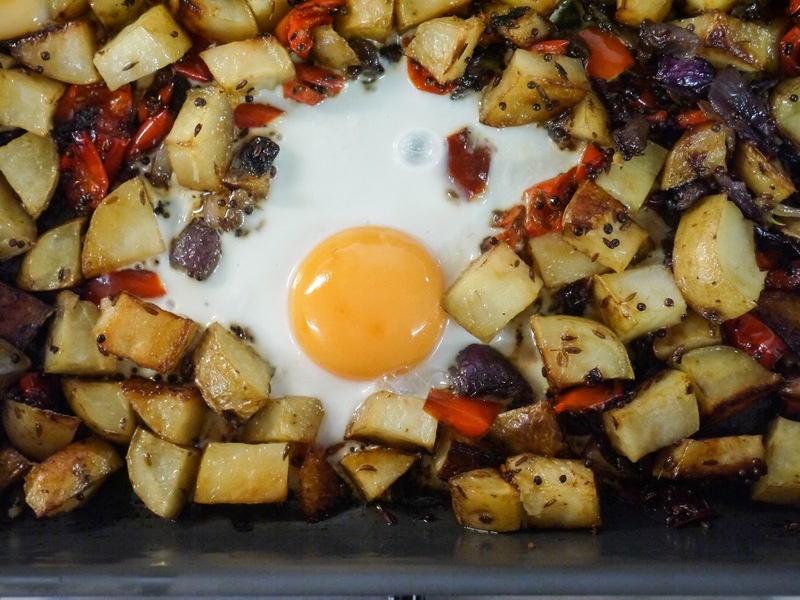 Beginnings - Oven-Baked Egg Hash: My first time baking eggs! And, it went pretty well. I actually baked the potatoes, peppers and onions the day before. I'm a real breakfast person and knew that I would not be in the mood to wait 40 minutes in the morning. The vegetables were seasoned with cumin seeds, black mustard seeds, salt and olive oil before being roasted until golden and crispy. Eggs were cracked in and baked again until cooked. A lovely change to the usual toast or cereal! 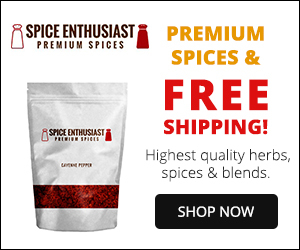 Thank you- I love your blog!